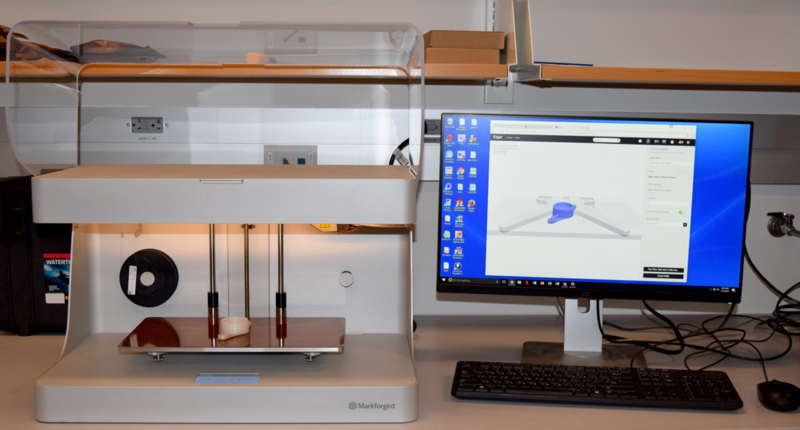 Located on the 4th floor in the Life Science Laboratories, the Advanced Digital Design & Fabrication facility houses state-of-the-art metal and polymer 3D printers for research, education, and printing amazing parts. The Advanced Digital Design and Fabrication Lab (ADDFab) is available for use by academic institutions, industry, and the local community. 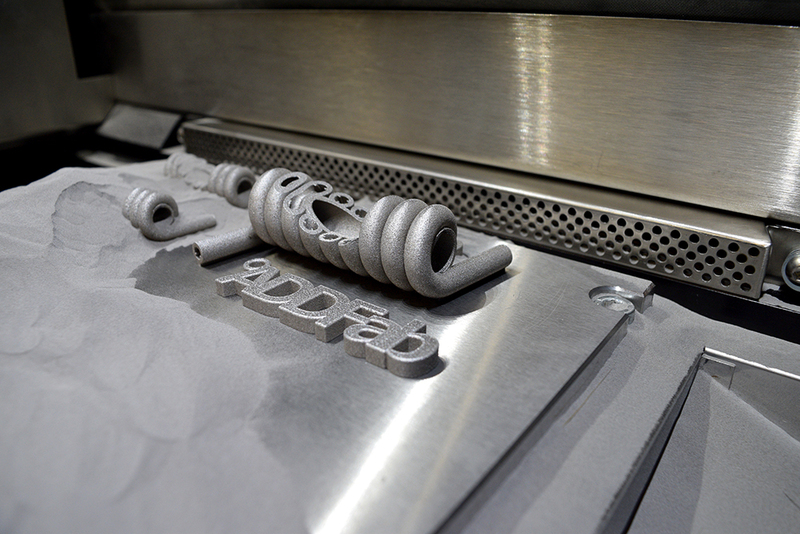 ADDFab has an array of cutting-edge, industrial-grade, 3D printers. ADDFab has three primary goals in serving this diverse customer base: (1) Engineer and print great parts in metals and polymers, (2) support academic research, and (3) provide training and educational opportunities. 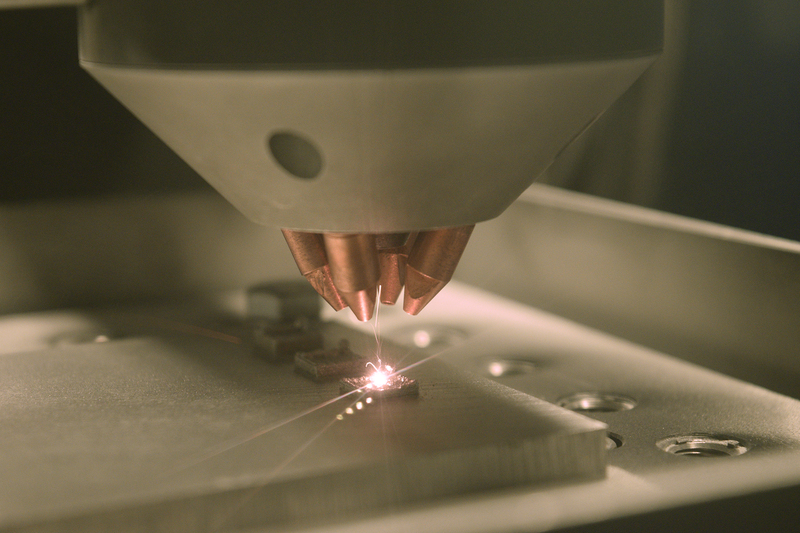 Two metal printers utilize fine metal powders to build parts as large as 25x25x30cm with detail as fine as 250um. 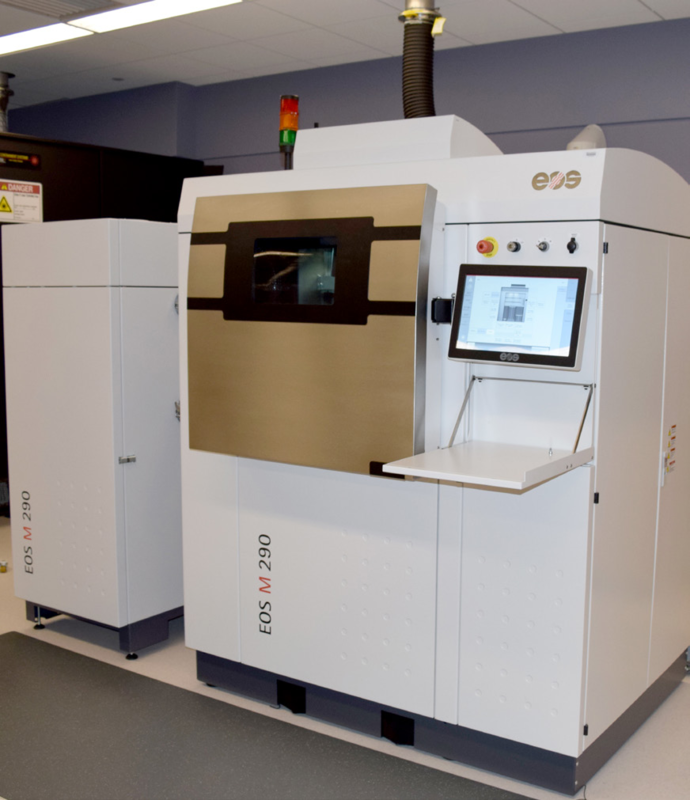 The EOS M290 is a powder bed system that uses direct metal laser sintering (DMLS) to build parts layer by layer while the LENS 450 is a directed energy deposition (DED) system which deposits lines of metal and can produce parts from custom metal alloys. Three polymer printers span three different printing technologies. 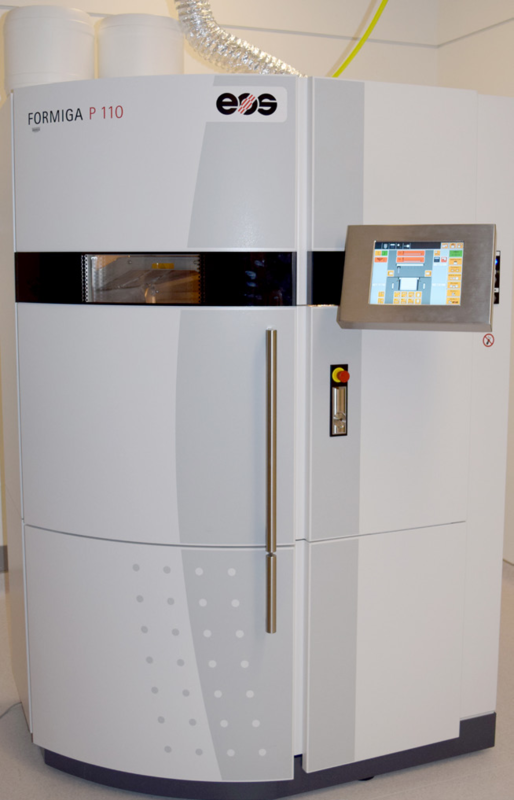 The EOS P110 is a powder bed nylon printer that uses selective laser sintering (SLS) to produce parts. It has a build area of 23x20x30cm and can produce detail as fine as 250um. The primary advantage of the SLS process is that it does not require support structures for overhanging parts, so it can print extremely complex and delicate geometries with ease. 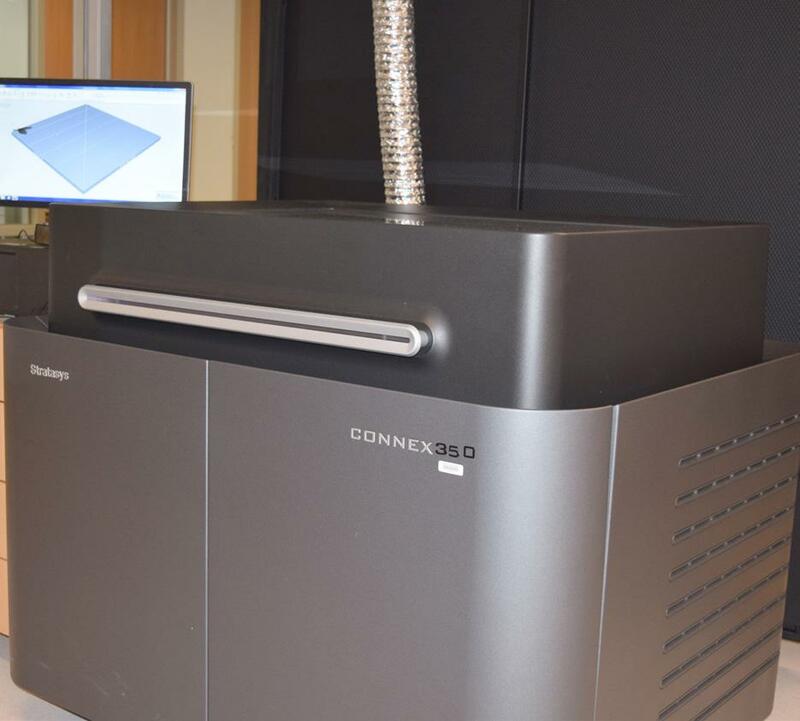 The Connex350 is a multi-material printer that can print both flexible and rigid materials in one part, and even mix the materials to adjust material properties and colors. The Markforged printers extrude nylon filament in a fused filament fabrication (FFF) process and can print in nylon infused with chopped carbon fiber (Onyx), or embed a continuous strand of fiberglass, Kevlar, or carbon fiber into each layer. For customers who need engineering or design support to get parts (or ideas!) ready for printing, we offer engineering consulting on an hourly basis with either undergraduate students or experienced engineers. The ADDFab facilities are available for use as-a-service where our staff does all of the printing, but also for dedicated use on a daily or weekly basis. 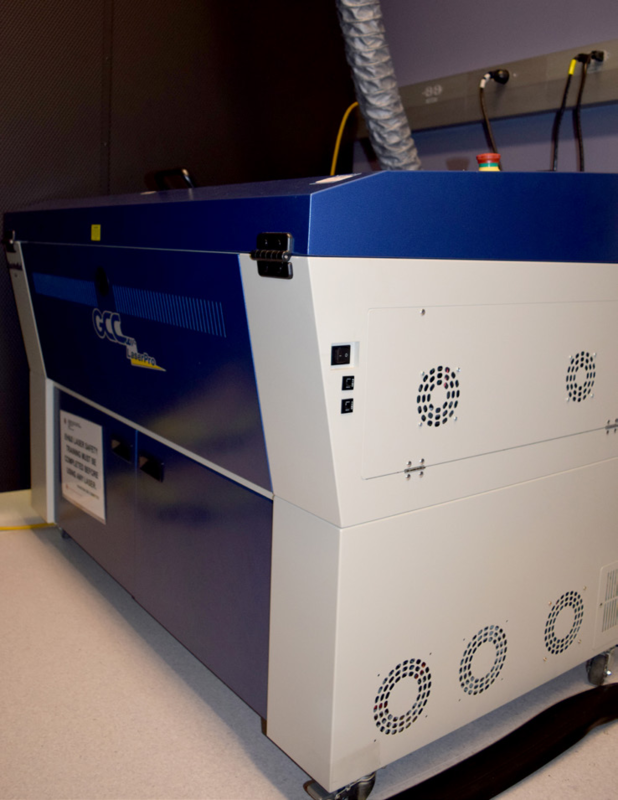 Training is available where students and faculty can learn to use the equipment and then use it to conduct their own research on additive manufacturing. We also provide printing services and engineering support for faculty in all academic departments. 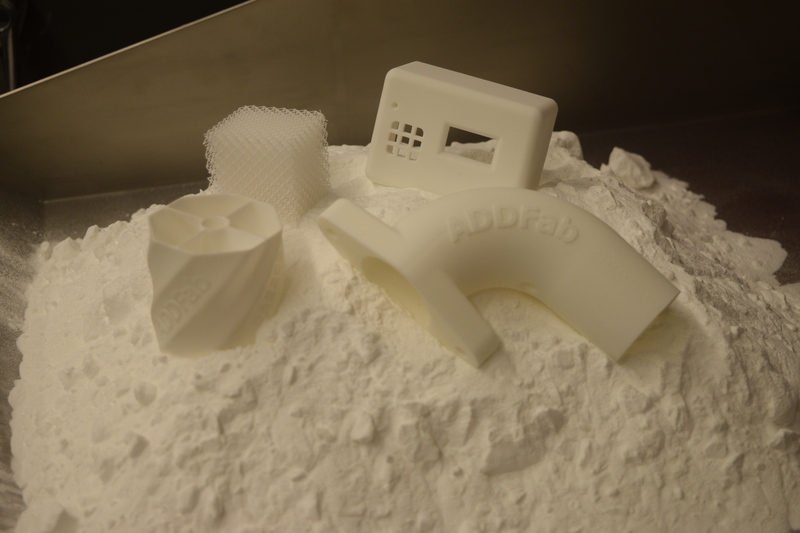 ADDFab supports undergraduate and graduate courses in additive manufacturing by printing parts, providing tours, and training students on how to use the equipment. We are actively partnering with student groups and secondary schools as well. 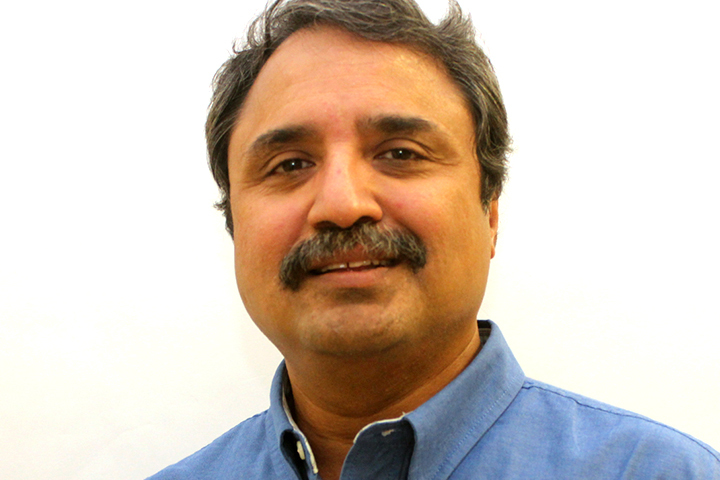 For industry and the local community, ADDFab hosts a series of workshops on additive manufacturing. These are intended to broaden the understanding of how 3D printing will affect the manufacturing industry and to provide hands-on skills using industrial-grade 3D printing technology. Both types of courses are offered throughout the year. If you have questions regarding how to work with ADDFab on a future project, please contact us at addfab@umass.edu. We look forward to working together! The M290 uses a laser to sinter a bed of metal powder, allowing layer by layer creation of geometrically complex, high quality metal parts. Using the M290 fully functional parts can be designed to be lighter, more complex, and better integrated into an assembly. 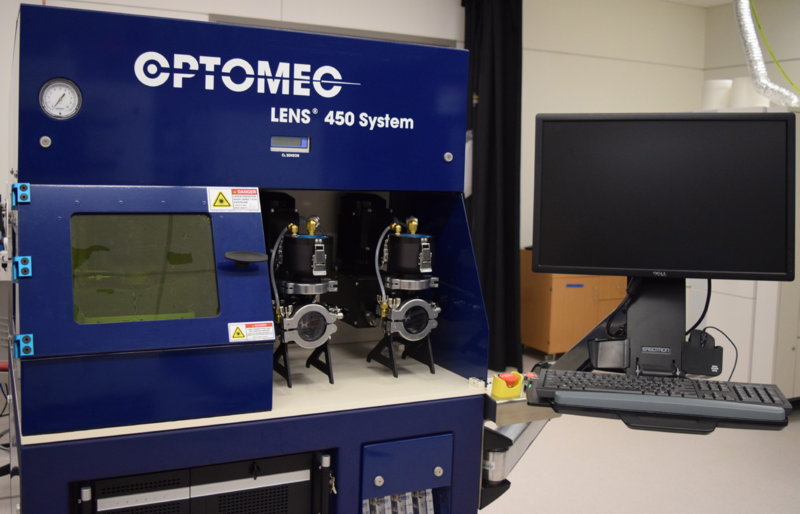 The LENS 450 operates by depositing controlled amounts of metal powder onto a work surface and sintering with a laser. The approach allows the machine to be used for part repair, hybrid manufacturing, as well as full additive part manufacturing. The Formiga P110 uses a laser to sinter a bed of plastic powder. The process facilitates the creation of batches of parts and allows complex geometries and quality builds from high strength plastic materials. The Objet Connex350 allows the creation of parts with multiple materials. Materials can be printed separately or in specified ratios, offering a range of mechanical properties. Parts can be any blend of rigid and flexible materials, creating prototypes with different hardness durometers, or even soft overlays on rigid materials. The Mark Two printer switches between two nozzles to create carbon fiber, Kevlar, or fiberglass. The resulting parts have high strength to weight ratios that can be used for tooling, fixtures, and prototyping. The Spirit GLS allows rapid laser cutting and 256-level grayscale engraving. In addition to cutting potentially complex geometries in materials like wood and acrylic, it can engrave aluminum. Prices are for trained users and do not include support staff, consumables, or materials. Printing-as-a-service is available on the P110 at $0.10/cm3 and on the Connex 350 at $14/hr, including materials. Support for untrained users and for additional help is $50/hr for technician, $117/hr for engineering or design. 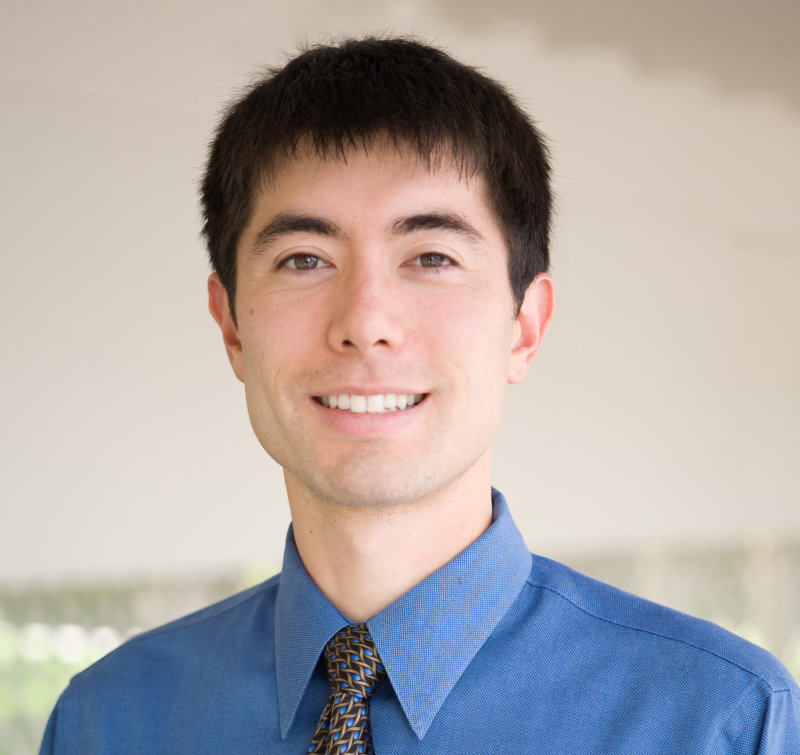 Shared rates shown are “per simultaneous user”, so a lab could have multiple trained users and pay one shared fee, as long as only one piece of equipment is used at a time. All rates are for academic research for UMass (all) or the Five Colleges. Personal and industry use rates are 50% higher (e.g. $300 → $450). “Dedicated” means the machine is available for your exclusive use for that period of time. This includes setup, operation, and clean up. “Shared” means that the machine is available on a first-come, first-served basis. There is no guarantee that shared equipment will be available at any specific time, and priority will be given to those who schedule dedicated access. Printing and cutting services are available by the hour and include full technician support, or limited support for trained individuals. 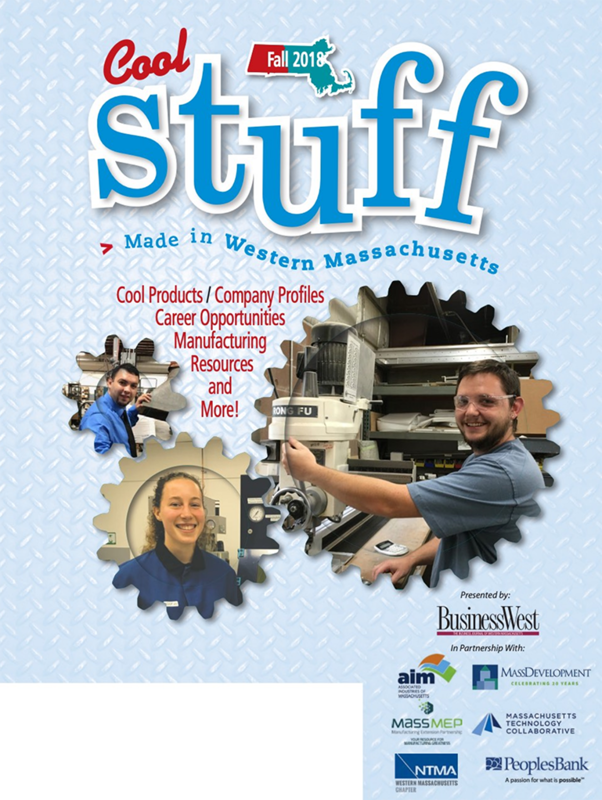 For details contact Dave Follette at follette@umass.edu. Make a payment to the ADDFab Facility.